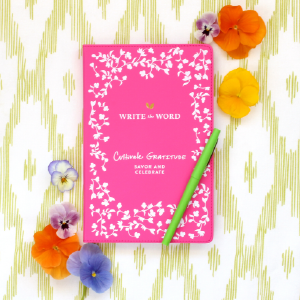 On each page, you'll get a selection of specially-selected key verses to write out, along with space to write your thoughts, prayers, or whatever God places on your heart. 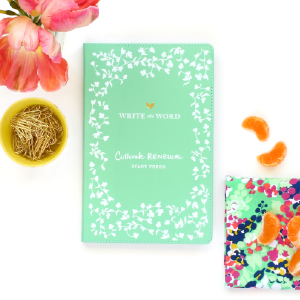 Use your Write the Word Bible journal in whatever ways you wish! 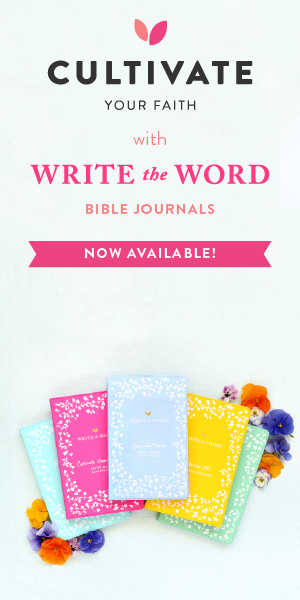 These journals are all about grace and digging into God's life-giving truth. Each Volume contains scripture with the coordinating theme -- and helps you to cultivate those areas through scripture and prayer journaling. Choose one or choose all 5 -- you won't regret investing in this faith tool to help refine your quiet time. Lara also gave some freeing advice in that quiet time doesn't have to be every single day -- just be consistent with what you're doing. There is no shame in every other day or whatever you can do -- just Make it Happen!